New comic/prose hybrid A.D.: After Death is prescient in premise, debuting alongside a slew of headlines announcing breakthroughs in gene editing and mitochondria healing that could keep the grim reaper at bay indefinitely. 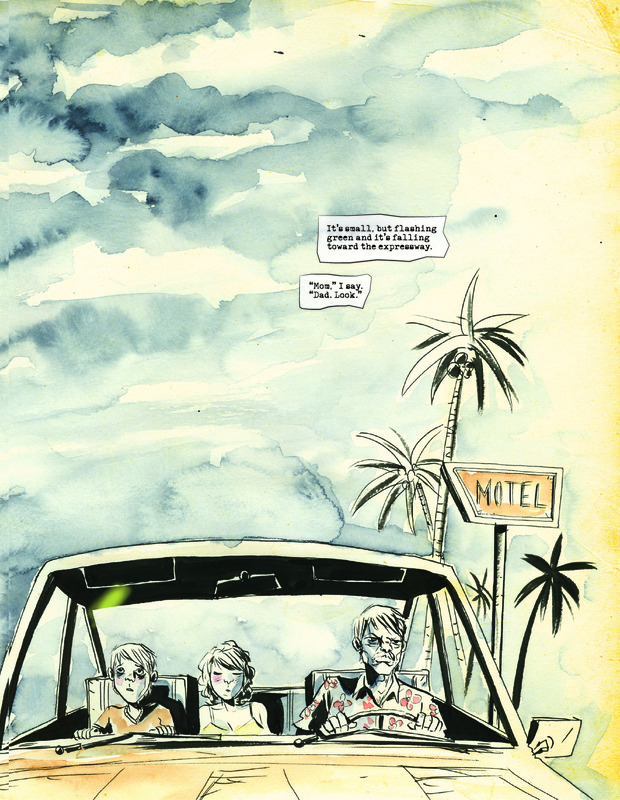 But writer Scott Snyder and illustrator Jeff Lemire have already predicted a bittersweet fallout for a world without graveyards; their three-book project, whose debut chapter releases today, presents a reality where a small commune has eradicated death on a genetic level, and one man’s struggle through the ramifications of that immortality. 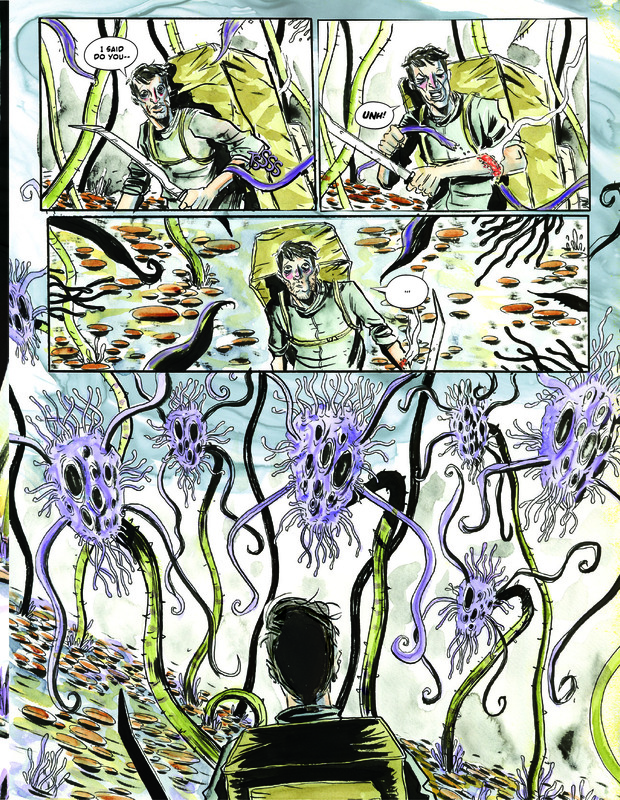 The book innovates by including pure prose and spot illustrations mixed with traditional, paneled comic storytelling. 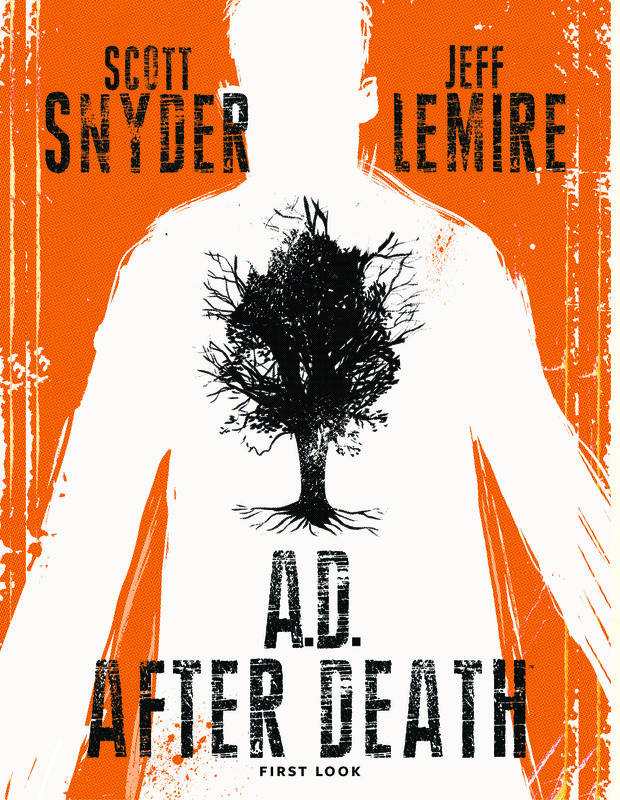 The approach is both a return to form for Snyder, whose first major work was an excellent short story collection, and a new role for Lemire, who usually assumes the role of writer or sole cartoonist. Paste discussed the process and philosophy of A.D.: After Death with Lemire to discover why eternal youth isn’t all it’s cracked up to be. Paste: To start off with a little background, how did you and Scott first meet? 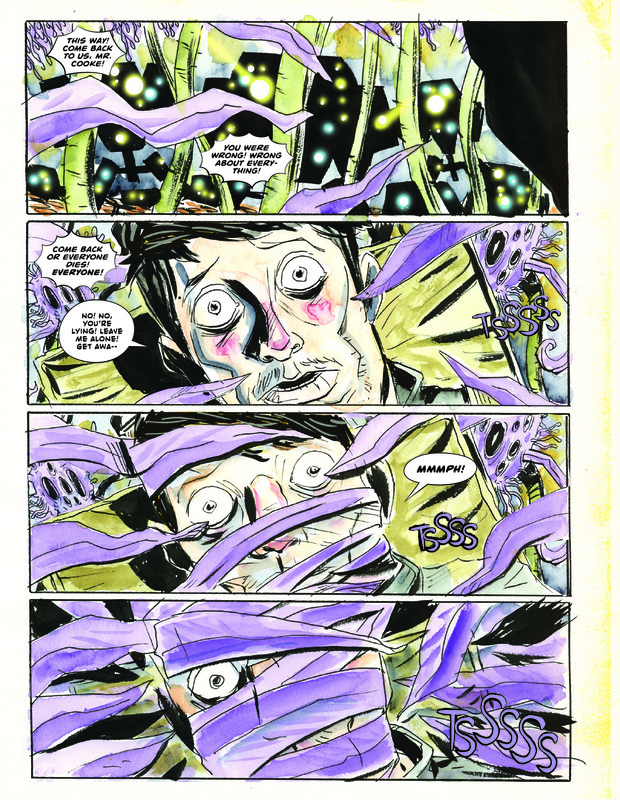 Jeff Lemire: So this is probably back in 2009 or so. I was doing a book called Sweet Tooth at Vertigo and Scott started doing American Vampire at Vertigo as well. Around that time, he had reached out and emailed me just to introduce himself. A few months later, Scott and I were asked on the same day to come over and work on some of DC’s main superhero stuff in addition to our Vertigo work. So Scott and I being in that same boat, being thrust into that mainstream comic world, we called each other and developed a pretty quick friendship as a support system for one another, and that’s just blossomed over the last seven or eight years. We’ve just become each other’s sounding board for whatever projects we’re working on independent of each another, for ideas or for scripts, where if you’re having any sort of story problems it’s good to have that person to call and hash things out with. In this business, you spend a lot of time traveling with one another and over time you get to know each other and each other’s families, so that’s where our friendships sparked from. Paste: What is it that you admire most about his work, and why is it that you two are so creatively compatible? 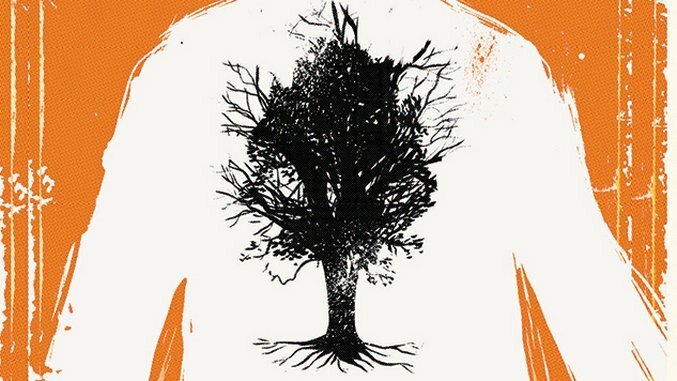 Lemire: I think Scott’s one of the finest writers working in comics today. If I didn’t know him I would still think that his work has a level of sophistication and depth and a literary quality that is really lacking in the majority of comics out there. He brings such an immense talent to worldbuilding and mythology to whatever project he works on, Batman or otherwise. I think we’re complementary to one another because we both approach story from a different place. There wouldn’t be much of a point in collaborating if our work were too similar. Scott’s approach is more cerebral, really tortures himself with the minutiae of a story and something brilliant always comes out of it, whereas I follow my gut more and don’t think about things too much while doing it. Aesthetically, he’s a writer by nature and started doing prose before he got into comics, so he has a real literary quality to when he uses words on the page. I started off cartooning, and writing resulted as a byproduct of that, and so I tend to push things a lot more visually. If you look at our superhero work, for example, you’ll see Scott uses a lot more narration and beautifully written internal dialogue, whereas mine is much more quiet and focused on a lot more visual stuff. So we have a different way in approaching story. But at its core, we have a lot of respect for what we do, and it was great to come together on a new project. Paste: What were the origins for A.D.: After Death? What was it about the concept of a world without death that resonated with you when Scott first approached you? Lemire: It’s a really tricky question to answer and I’m not trying to be evasive, but the thing that actually hooked me the most when Scott first pitched it has not been revealed in the first issue, so I have to be really careful [laughter]. But there is one major aspect of the story that’s part of the mystery that’s building throughout issue one, and it only becomes more apparent throughout issue three. But there’s definitely something coming that, once it’s revealed, people are going to like. There’s this emotional core to this project that when Scott described the initial idea to me, I was hooked. It just tapped into the types of stories I love to tell and the quality I like to bring to my work. The bombastic science-fiction idea of a world without death, that was all very interesting and intriguing, but it wasn’t the thing that hooked me. Paste: Fair enough. That said, tell us a little more about the premise, and particularly about protagonist Jonah Cooke. What is it about Jonah that makes him a compelling character? Lemire: So, circling back to the previous question, the story is about a world where death has been genetically cured, and then we jump hundreds of years into the future. Jonah is one of many people living in this isolated community society, all of whom are essentially immortal. The big mystery is that we don’t really know what’s happened to the rest of the world outside of this community, so that’s something that we’ll obviously reveal later. What makes Jonah so compelling is the way that Scott turned to this character where he could really explore mortality, memory and what it means to be human. In a world without death, instantly, the definitions of what make you a person go away because you can live one life for as long as you want and be who you want, but then you get tired of it and you could completely reinvent yourself and become something new and different. You just keep doing this over and over again, until eventually thousands of years later, you almost forget where you started because there’s nothing defining you anymore. What Scott’s done beautifully is use the comics section of the story to really explore Jonah in the present as this almost identity-less guy who’s just lost—he can live forever, but he doesn’t even know who he is anymore, and then he uses the prose sections to sort of explore Jonah’s past and his memories, these things he’s holding onto. The whole story really is one of identity and mortality, and Jonah becomes our guide through this world. On a plot level, it’ll be revealed why Jonah is so integral to this deathless society. There are things that continue to haunt him and drive him as well. Paste: Let’s talk about the series’ name. After Death’s title is prefaced with the initials A.D., a sort-of-play on Anno Domini, latin for “In the year of our Lord” and the common dating signifier of the modern era. How have the concepts of faith and religion changed in a world without death? Lemire: It’s not something we address specifically in the series, to be honest, because it’s not one of the main things we were interested in. But just knowing what we’ve done and where I know the story’s going, I do know that religion and faith have lost their impact in this world. When you’re not afraid of dying anymore or of what will come next, it doesn’t matter anymore and you live for the material world of the present. So I think that for this society, religion and faith don’t have a big place in their lives anymore. Paste: After Death is the first creator-owned work that you’ve worked on exclusively as an illustrator, with Synder taking the lead as writer. What other ways has this project been unique for you, as an illustrator, as compared to your previous work on Sweet Tooth or Trillium? Lemire: It has been unique in many ways. What you said is the biggest one—in the past I’ve been a cartoonist where I’ve written or drawn my own material. I’ve done a few short stories with someone else writing, but certainly nothing that was as big of a commitment as A.D. has been, where it’s a 200-plus page story that I’m drawing, but someone else is writing, so that in and of itself was a huge change I had to adjust to. The story itself brought forth a lot of experimentation and a lot of new techniques and approaches to the visual storytelling that I hadn’t tried before, which was really amazing. The biggest one was the way we used prose in this story. Scott comes from a prose background. Before comics, he wrote novels and short stories, so when we started working on this project, I could get the sense he was longing for a way to incorporate those sensibilities into a comic format. 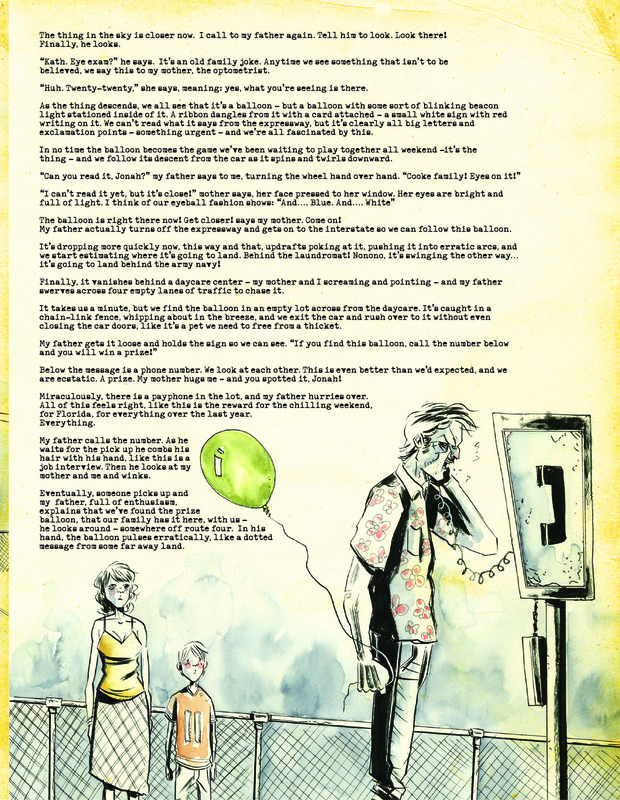 The book is split between two different styles, whereas the present and future stuff is more traditional comics, and then it’s broken up with these segments of prose where I contribute what we could call spot illustrations. I found that really freeing. Panel-by-panel storytelling can be pretty tedious and hard, though of course I love doing it, but to have these sections where I could be more poetic and interpretative, I felt was very freeing. And then when you put it all together, you see the comic sections flow into these prose sections and back. It feels very natural as one cohesive story. Those are the two biggest differences from my previous work, and when you’re not spending so much of your brain power on story and letting someone else handle that, it frees you up to zero in on the artwork itself. I think that I took a leap as an illustrator, and hopefully it shows. Paste: You and Scott Snyder are both in your early 40s; how would this project have been different if you had approached it in your 20s? Lemire: I don’t think this is a book that either of us could have done in our 20s. During that time in your life, death and mortality and family— all those things aren’t even on your radar. You’re just trying to figure yourself out, or at least I was. This is a project that wouldn’t even have been born back then for either of us. I think it comes primarily out of being a parent and then growing older. I just turned 40 this year, and so did Scott. We both have kids, and when you start to look at the world through their eyes, you start to get older and then they start asking questions about their own mortality. When my son first became aware of the concept of death at age four or five and he asked me about it, it was very disturbing and it’s something you kind of don’t want them to know about. It’s one of the most heartbreaking things as a parent you have to face, and it was the spark that started this story going through Scott’s head, and made it compelling for me as well. Before I turned 40, I would have panic attacks thinking about death and dying and then as soon as I turned 40, it all just sort of went away. The older you get, the more you think about these things and the more it drives your work. Paste: If a genetic cure for death were to ever be made a reality, would you ever contemplate using it? Why or why not? Lemire: That’s obviously a really good question, but it’s one that I also feel is impossible to answer truthfully. The high-minded intellectual part of me would want to say, “Of course I wouldn’t!” Dying is what gives any of our lives meaning and makes anything that we do important. But the truth is that I think if any of us were actually offered that, I don’t know how anyone could turn that down. We’re all so scared of dying that I think it would be near-impossible to say no to it. It’s one of those questions you can answer in one of two ways, but I think it would be really hard to pass up if we were really being honest with ourselves.